We happened to be in Seattle earlier this week for a consultation for my new tattoo (I’m so excited!) so we took ourselves out for a belated anniversary dinner. We had gone out with friends on the actual day, so it was fun to do something just the two of us. 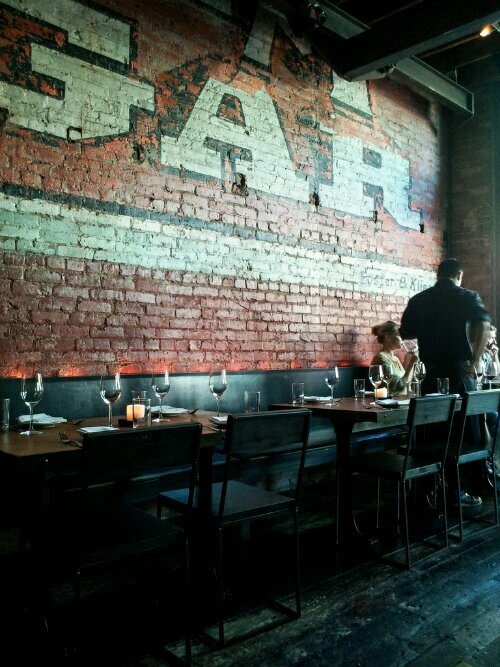 We decided to try the chef’s choice tasting menu at Staple & Fancy in Ballard. 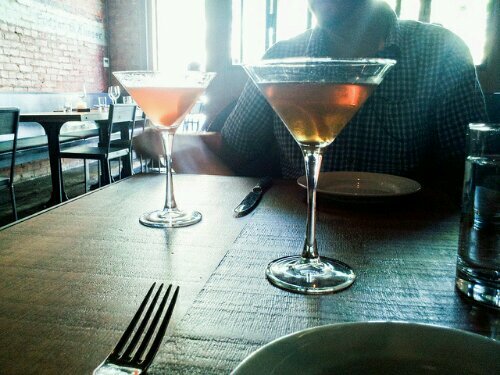 We started with some very nice cocktails, explained all my weird allergies to our server, and waited to see what the kitchen would make for us. 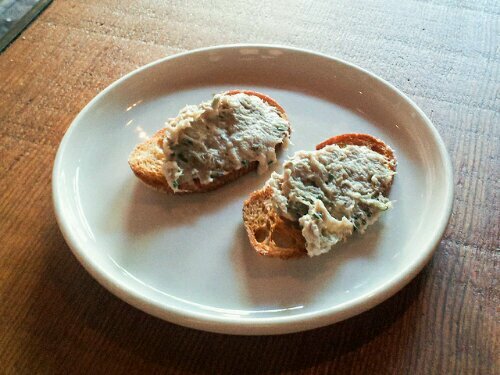 It started reasonably enough, with two little toasts topped with a smoked fish spread. Delicious and simple. 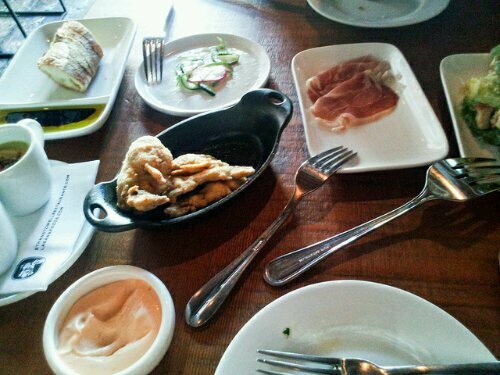 Before we could finish our bread and cheese, our table filled up with corn soup, prosciutto, fried oysters, raw escolar, more bread, and escarole salad. All this, apparently, was our first course. 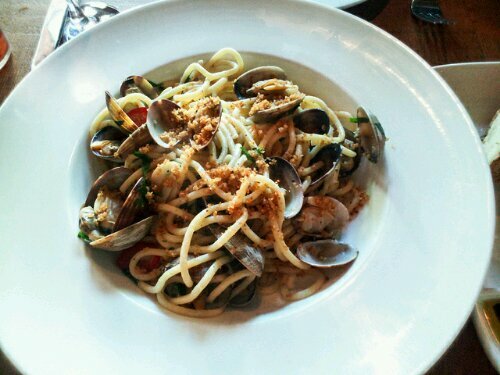 Eventually we got our pasta course, a wonderful big plate of toothsome noodles with clams and breadcrumbs. I was beginning to get full. Fortunately, I suppose, the third course was less thrilling. 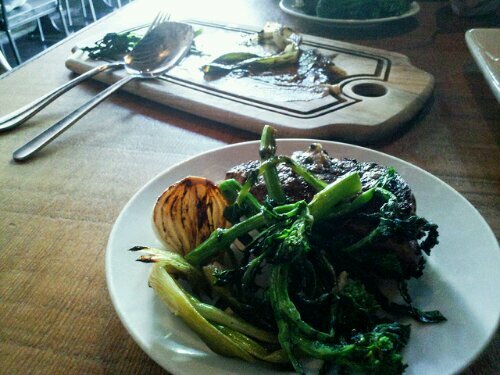 It was gorgeous – a platter heaped with grilled onions and broccoli rabe with a handsome ribeye on top – but the steak was dry and not very flavorful. 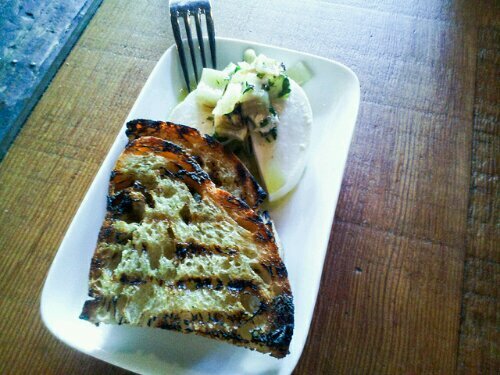 The accompanying onion puree was deeply smoky, a flavor I like but get tired of easily. I ate a small amount but saved room for dessert. 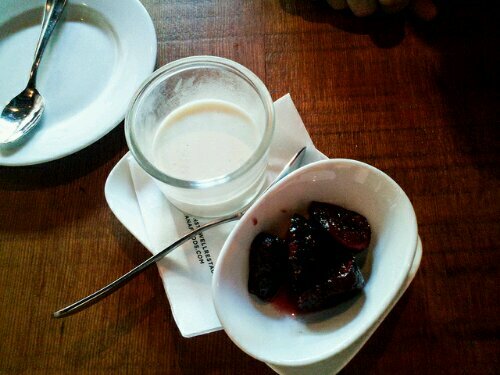 This was a cute little tub of panna cotta with some stewed figs. None of it was particularly sweet, so the red wine left in our glasses actually went really well with it. We finished the evening with some espresso and walked back among the streets of Ballard to our car, smelling cucumber and creosote.